PITTSBURGH (April 4, 2019) — With the help of Data Warehouse Consultants, the Allegheny County Department of Human Services recently launched an updated QuickCount Tool application. QuickCount is an online, easy-to-use interface that allows journalists, policy researchers, grant writers, nonprofit leaders and community agencies to obtain counts of participants involved in the programs and services provided by the Allegheny County Department of Human Services, a public health organization located in Pittsburgh. 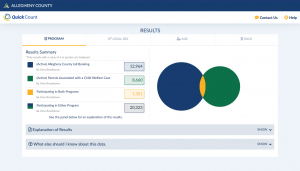 Data Warehouse Consultants led the effort to update the application with a new visually appealing layout and clearly defined color scheme linked to the “Allegheny County” brand. The features and functionalities conveniently guide users through the application for a pleasant user experience. The tool is available to the public at https://quickcount.alleghenycounty.us. Users have the option to see counts of cross-program involvement by geography and client demographics for many public programs in the County. Information on using the tool can be found in the User’s Guide on the QuickCount Help Site. 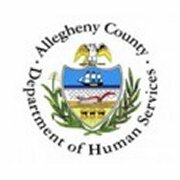 About Allegheny County Department of Human Services: DHS is responsible for providing and administering publicly-funded human services to Allegheny County residents. DHS is dedicated to meeting these human services needs, most particularly for the county’s vulnerable populations, through an extensive range of information exchange, prevention, early intervention, case management, crisis intervention and after-care services. About Data Warehouse Consultants: Data Warehouse Consultants is a consulting firm based in Pittsburgh, PA. Founded in 2004 the firm provides custom development services for web applications and corporate database and data warehouse environments. Pittsburgh, PA: Allegheny County Department of Human Services (DHS) approved Data Warehouse Consultants to build business intelligence and web applications beginning in September 2014. This provides Data Warehouse Consultants the opportunity to fulfill projects for the Department of Human Services on an as needed, project-by-project basis. 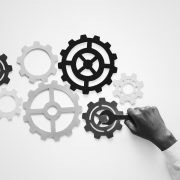 Achieving this qualification designation was the result of a rigorous Request For Qualifications (RFQ) process administered by the county that required Data Warehouse Consultants to compete with other interested firms. Ultimately DHS decided that the consulting firm’s experience and focus are the best fit for the work that needs to be done.